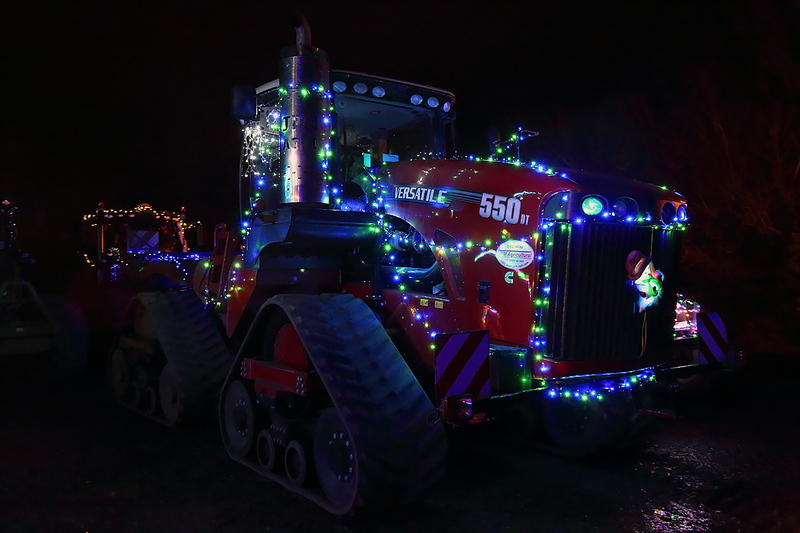 Express your elf on the 19th December 2018 by joining RC Baker Ltd on a Charity Christmas Tinsel Tractor Run! 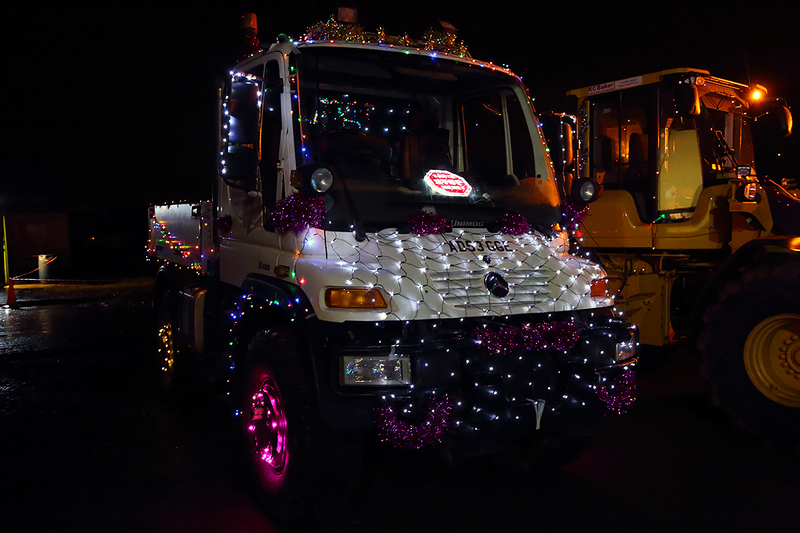 A festive fleet of fairy lit tractors will be taking a tour around local villages to spread some festive cheer and raise money for Katharine House Hospice. 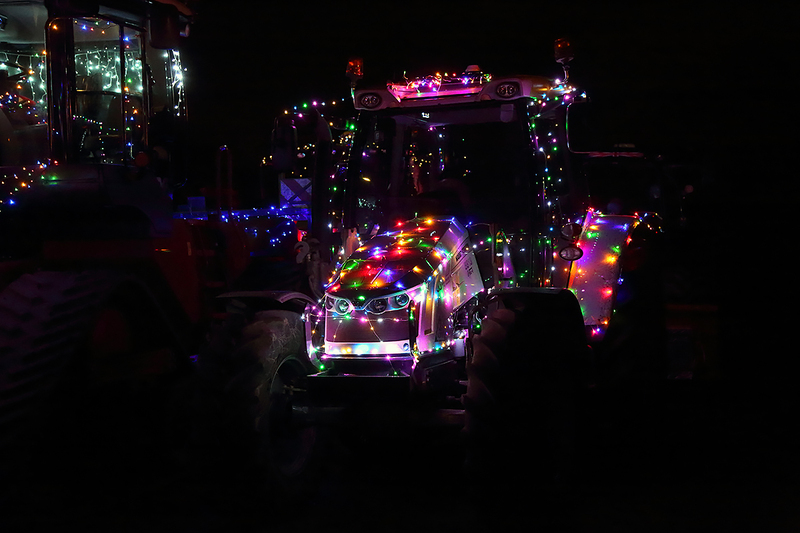 After the success of the first Christmas Tractor Run in December 2016 we, along with friends, family and customers from our local farming community, will once again be lighting up the streets with a fairy lit convoy of tractors to raise funds for Katharine House Hospice and spread some festive cheer. 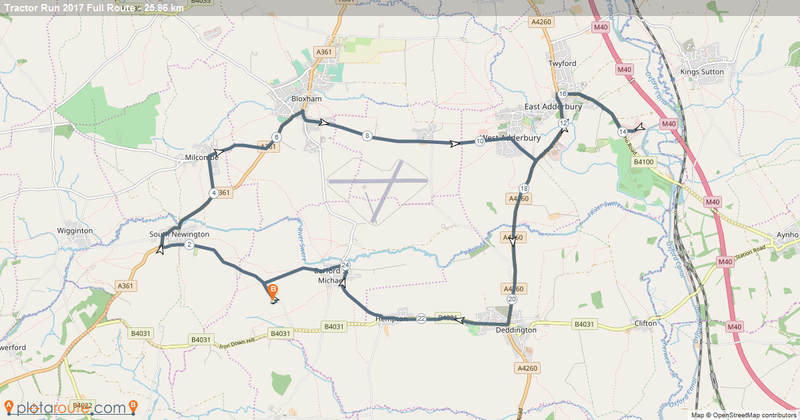 The festive convoy will depart from Spring Hill Farm, Barford St Michael at 5pm and will take to the roads travelling through the villages of South Newington, Milcombe, Bloxham, Milton, Adderbury, Deddington, Hempton and back through Barford St Michael returning to Spring Hill Farm at approximately 6-6.30pm. Due to a fantastic response and sign up of tractors for the Tractor Run please note that these are only approximate timings as we will have quite a number of obstacles to navigate out on the road such as the traffic, lights and turnings! Keep an eye on our Facebook Page on the evening for live updates from the convoy as to their whereabouts! Express your ‘elf on the 19th December 2018 by joining the RC Baker Ltd Charity Christmas Tinsel Tractor Run! 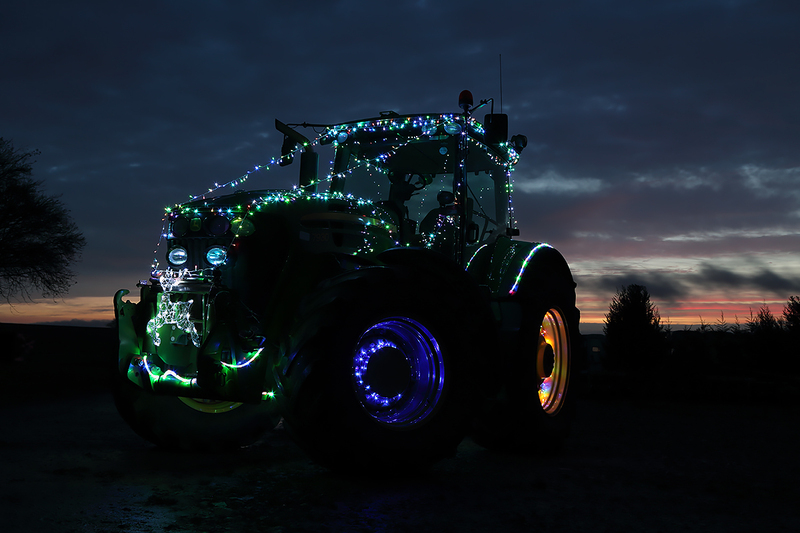 Move over Coca-Cola, it’s time to spread the Christmas cheer by decorating your tractor with fairy lights and all things festive! 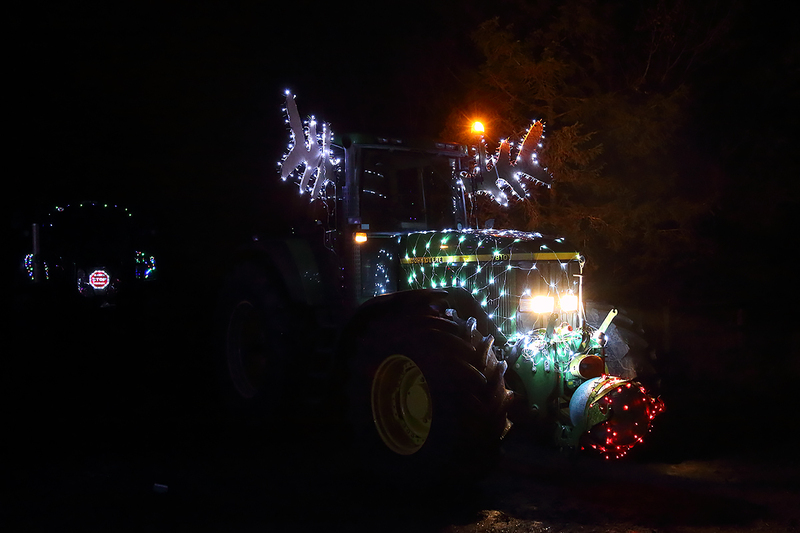 Whether it be a Rein-John-Deere, a Merry Massey, a Festive Fendt or a Jingle Bell JCB, we want to light up the local streets with our evening Tractor Run and raise some money for the Katharine House Hospice. 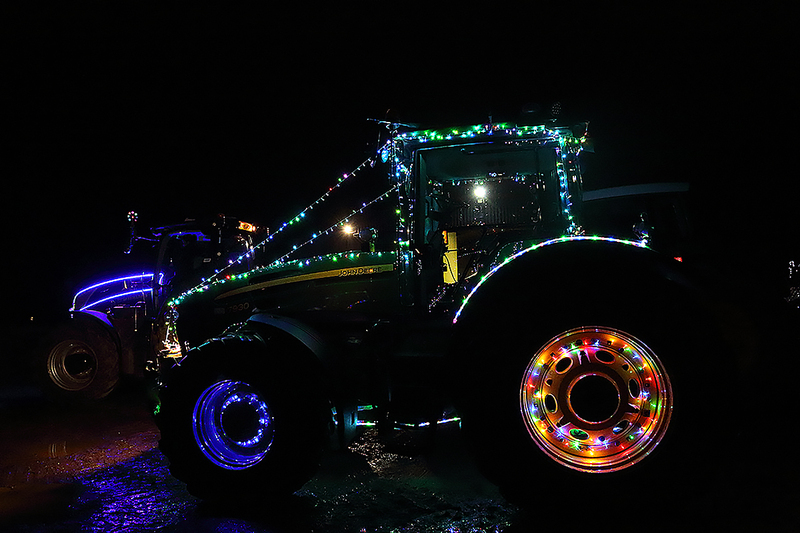 If you would like to join us with your tractor, email mail@rcbaker.co.uk or call the office on 01869 338307 to secure your spot in the Christmas convoy with a payment of £10.00 per tractor. 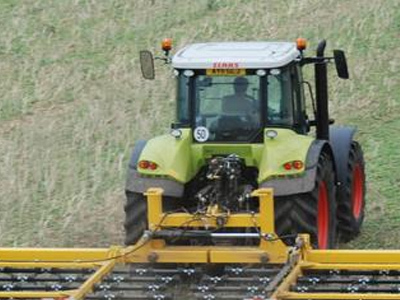 Please note that to take part you will need to sign up in advance and will need to be able to get to Spring Hill Farm no later than 4.30pm for a prompt start of the tractor run at 5pm. Passengers are only permitted if there is a proper seat. 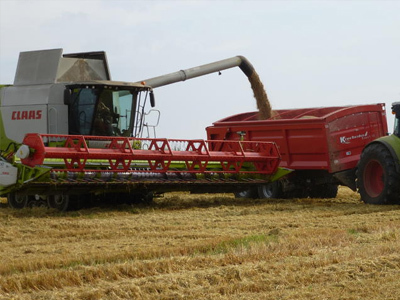 Please note that it is against the law to allow a child under 13 to ride on or drive agricultural self-propelled machines (such as tractors). We will reveal the exact journey during the weeks leading up to the event on our dedicated Facebook page so that you can keep an eye out in your local village and find your perfect spot to wave the tractors by. If you are unable to see the tractors on route or would like to take a closer look at them parked up, why not come and see the fleet after their tour from 6pm at Spring Hill Farm Barford St Michael, OX15 0PL. 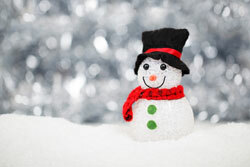 Enjoy a mince pie and a drink with all proceeds going to Katharine House Hospice. 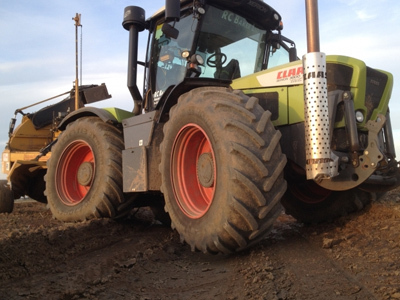 Fancy riding in the passenger seat of one of the tractors in the convoy? Now’s your chance! We are auctioning off a passenger seat in one of our fleet tractors and the highest bidder will get to take part in the tractor run! The auction starts on Thursday 13th December at 6pm and will finish on Sunday 16th December at 6pm when the highest bidder will be announced. Just click on the link below to be redirected to our eBay page where you can place your bid! All proceeds from the auction will go straight to Katharine House Hospice so please bid generously! Join the Facebook tractor run group or follow RC Baker Ltd to keep up to date with all of the latest plans for the evening. Why not come and see the fleet after their tour and enjoy a mince pie and glass of mulled wine. 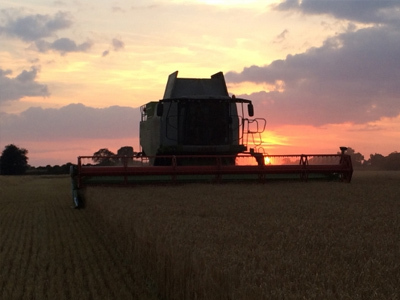 Everyone is invited to RC Baker Ltd’s premises from 6pm at Spring Hill Farm, Barford St Michael, OX15 0PL. It may be muddy so make sure you leave your party shoes at home and throw on some wellies! We would love for you to help spread the word about the Tractor Run so we can raise as much money as possible for Katharine House Hospice. Please share our event page on Facebook and download our poster and our leaflet below to circulate to friends, family and colleagues. If you would like to volunteer to help with the event please get in touch. We are looking for people in the villages that the fleet will be passing to shake collection buckets.